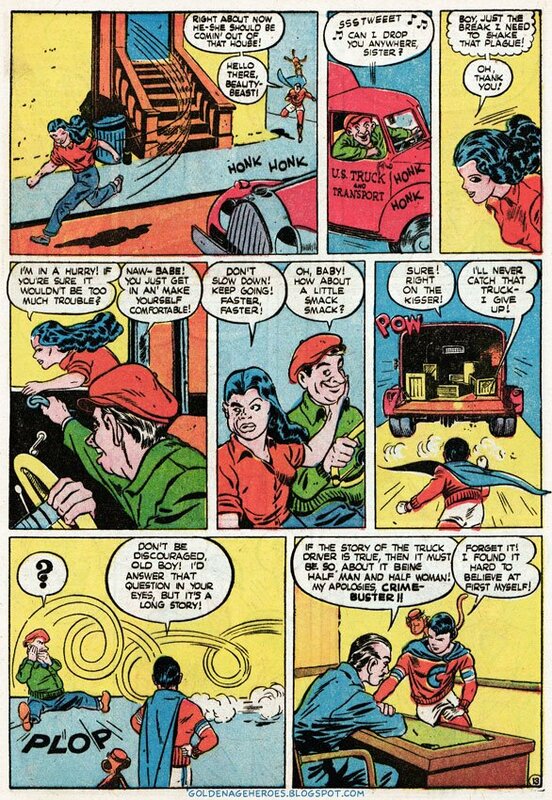 Although companies that "pick up the mantle" of public domain super-heroes is nothing new (see AC Comics and Malibu's Protectors), last year there just seemed to be a sudden boom in Golden Age revivals and re-imaginings. Dynamite Entertainment started the year off with a bang with PROJECT SUPERPOWERS. 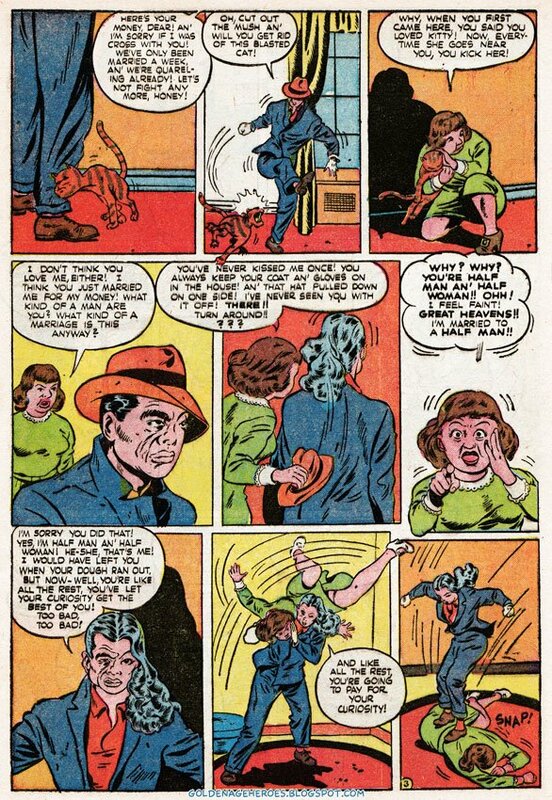 Pulling nearly every public domain character imaginable out of obscurity and thrusting them into a world they never made. 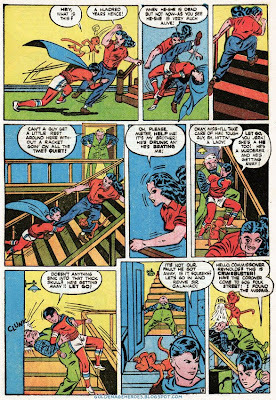 Dynamite started their own super-hero universe and continuted to build on it with mini-series featuring THE BLACK TERROR and THE DEATH DEFYING 'DEVIL (formerlly Daredevil). 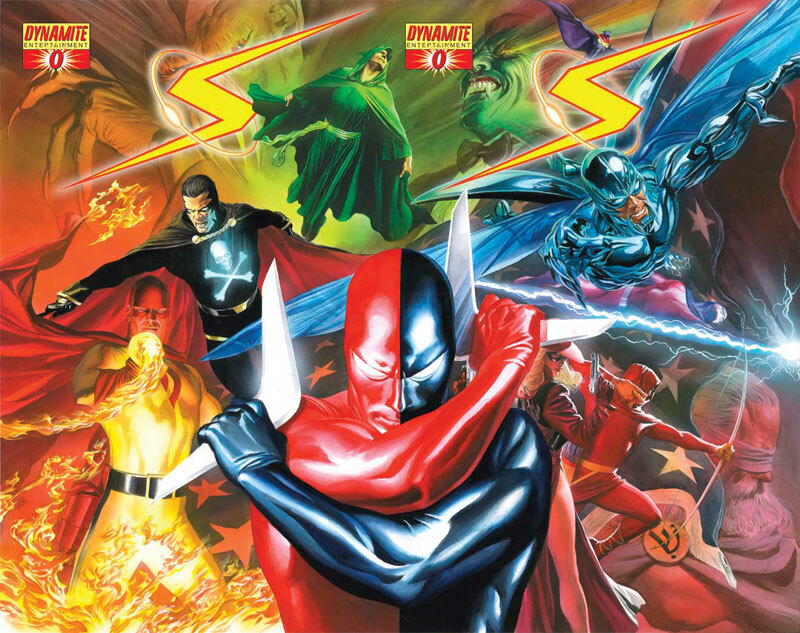 2009 sees PROJECT SUPERPOWERS 2 with even more Golden Age heroes being added to the mix. 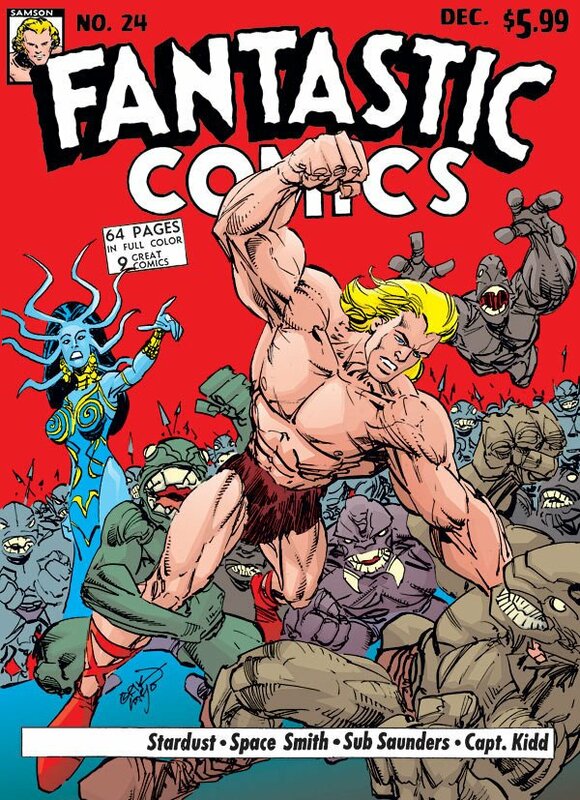 Erik Larsen at Image Comics began the NEXT ISSUE PROJECT. 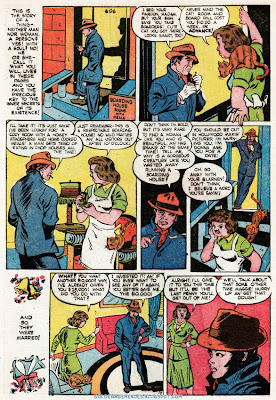 Picking up where many Golden Age titles had been cancelled and continuing on with their "next issue." 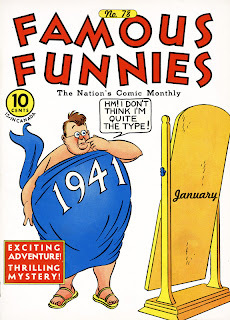 2008 only saw the release of one next issue, FANTASTIC COMICS #24. 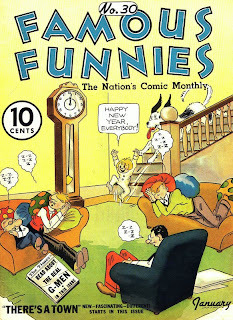 And although Larsen played the book up as if it were to be a continuing series, there hasn't been much talk of the next NEXT ISSUE one year later, and one doesn't appear to be on the horizon. Marvel Comics got in on the fun as well. 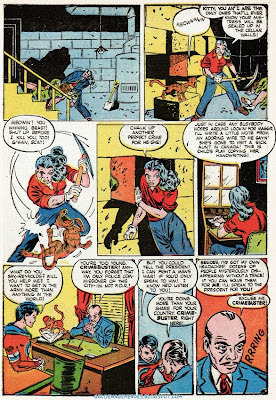 Mining a dozen forgotten characters from their own Golden Age history and flinging them into the present for dark murder mystery. 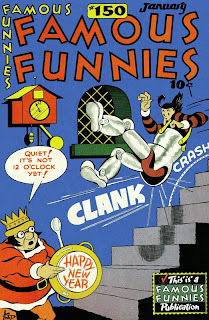 Then even released a THE TWELVE #1/2, which featured Golden Age stories reprinting adventures of Firey Mask, Mr. E and Rockman. Marvel Comics also team-up with PROJECT SUPERPOWERS' masterminds Jim Krueger and Alex Ross to bring some of their more well-known Golden Age heroes to the present. 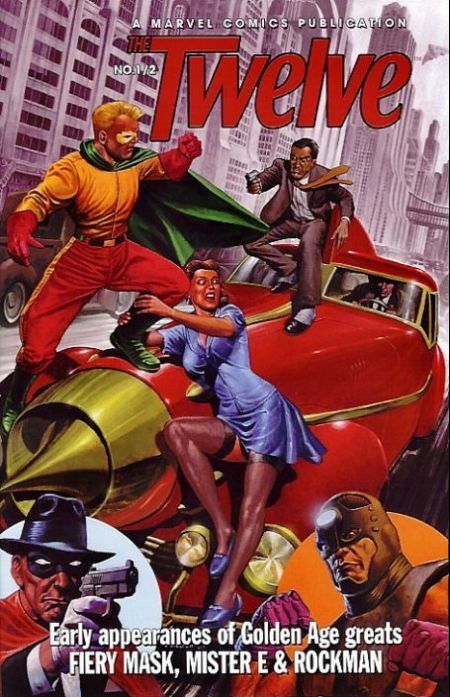 In a mysterious time-travel adventure, the Golden Age heroes compromising The Invaders are flung into the future; causing a confrontation with not only current Marvel Heroes, but also their contemporary selves! 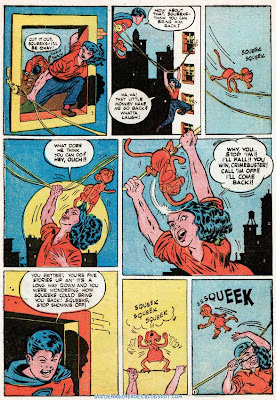 Over at Drunk Duck (a free Webcomics community), writer Jason Derr and artist Simon S. Andrews began a re-imaged revival of the Fletcher Hanks' character STARDUST. 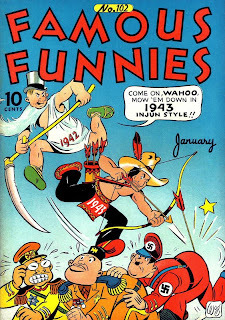 While completely different from the original, it still had it's own sense of bizarre. 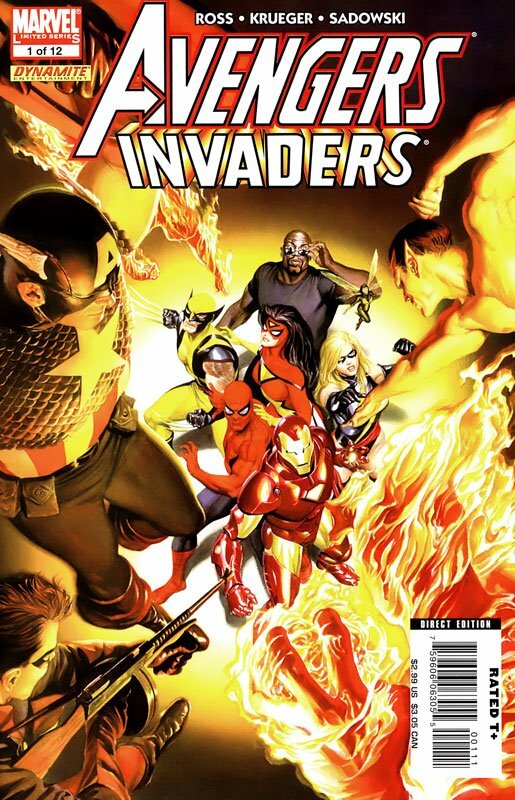 Unfortunately, after only 5 pages, there have been no further updates. 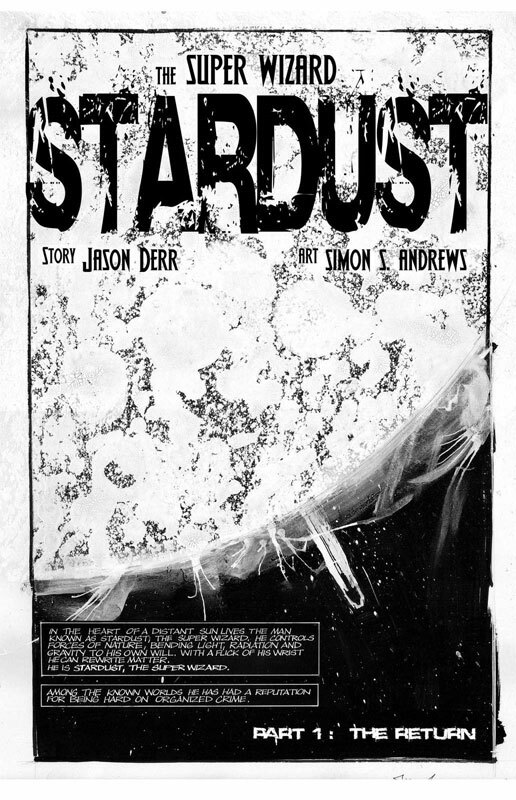 It appears that Derr and Andrews have (pardon the expression)... given up the duck! 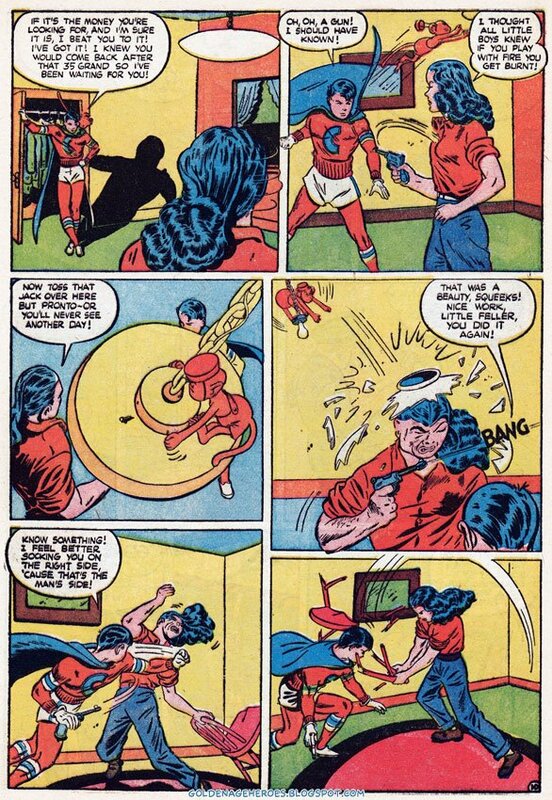 Dark Horse Comics took a different route. 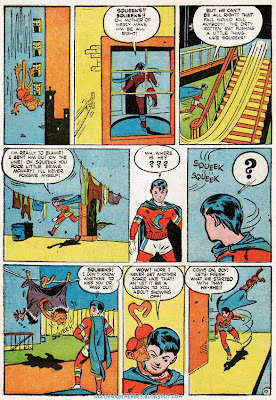 Rather than present new-re-imagined heroes, they simply re-presented the original tales. 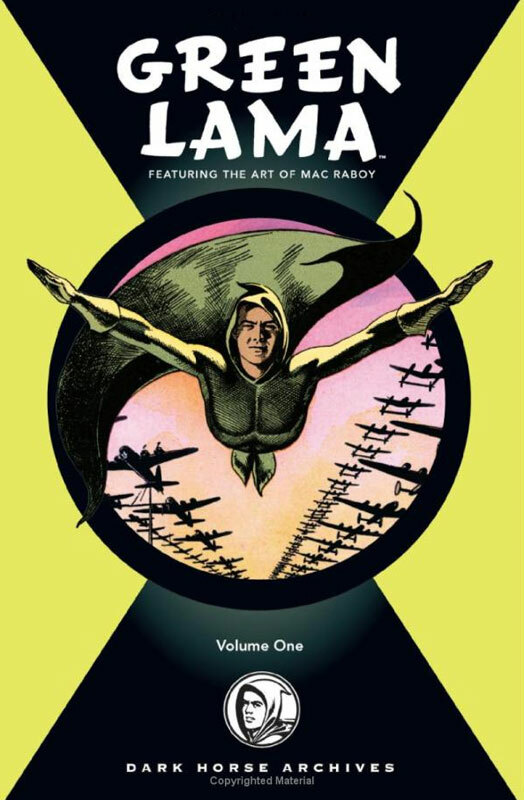 Using a high-quality format, similar the the DC Comics Archives, they began reprinting GREEN LAMA's self-titled series in it's entirety. 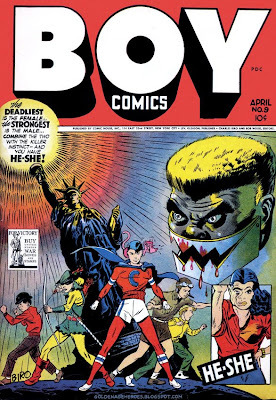 A lot of bizarre characters appeared during the Golden Age of Comics. But He-She may be one of the most interesting of the bizarre!! Crimebuster had no super powers. 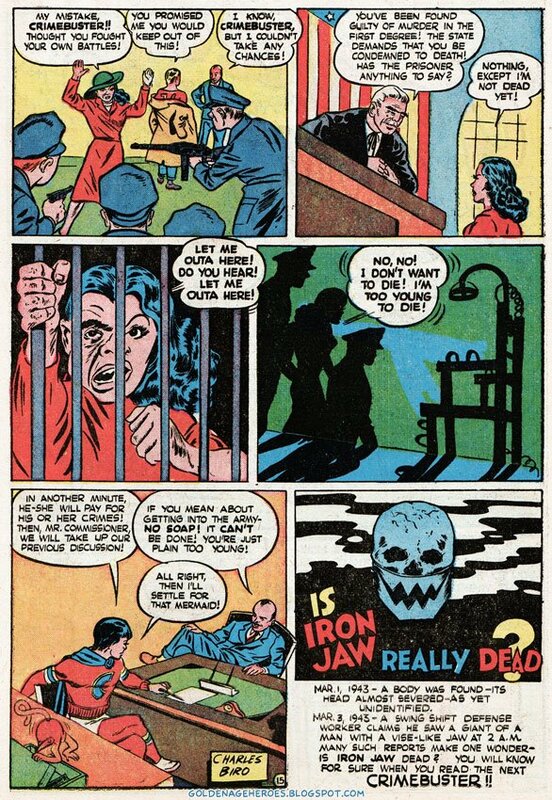 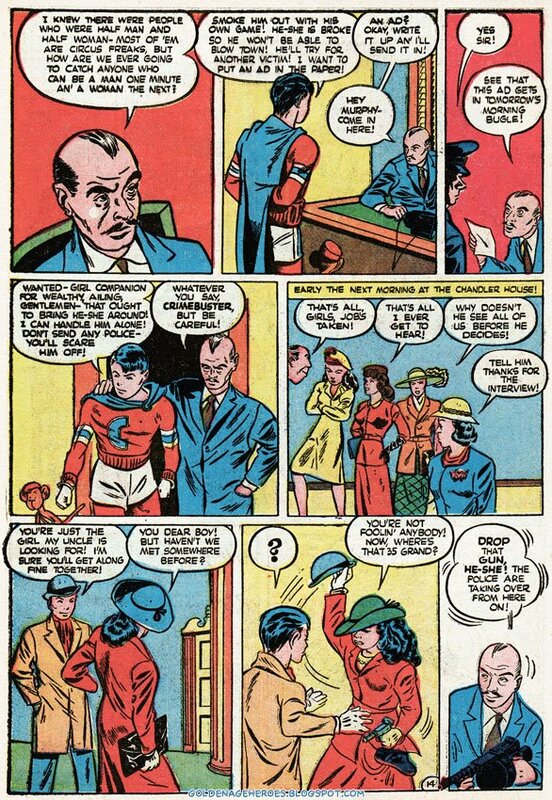 Chuck Chandler decided to fight crime (Nazis, specifically) after his parents were murdered by Iron Jaw, who was Crimebuster's main recurring nemesis and a really pretty nasty bad guy. 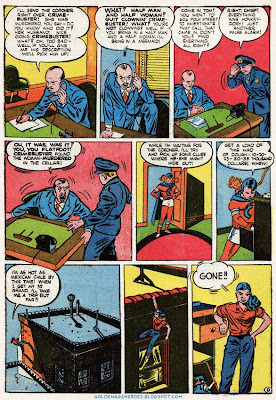 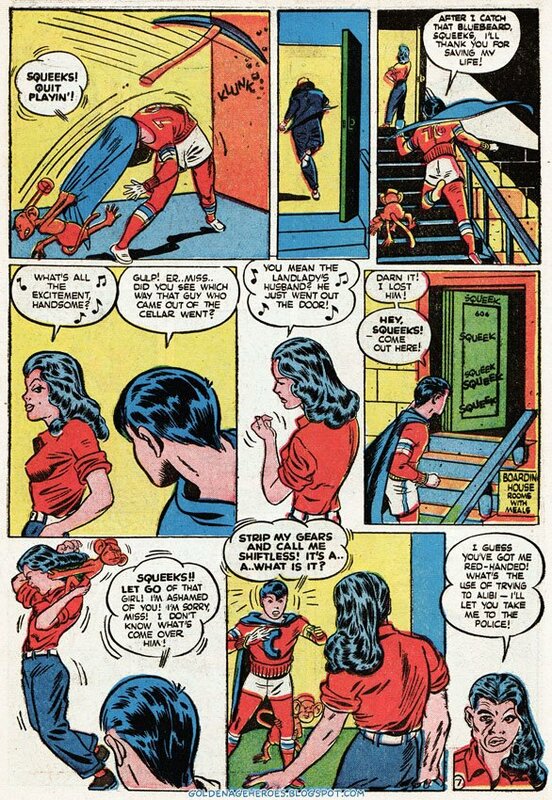 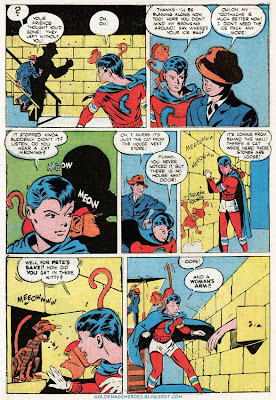 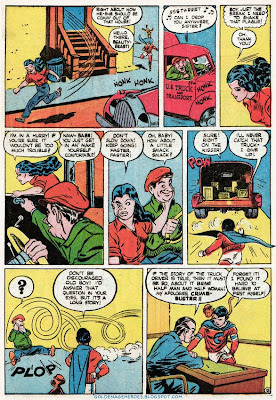 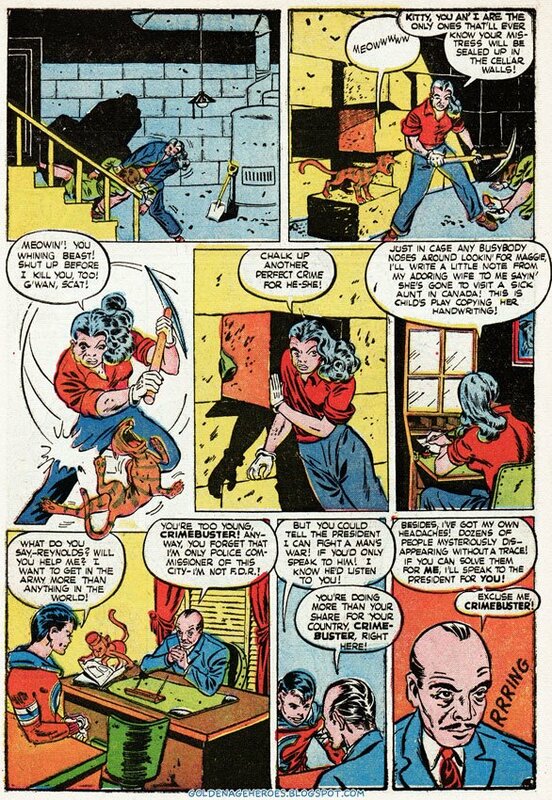 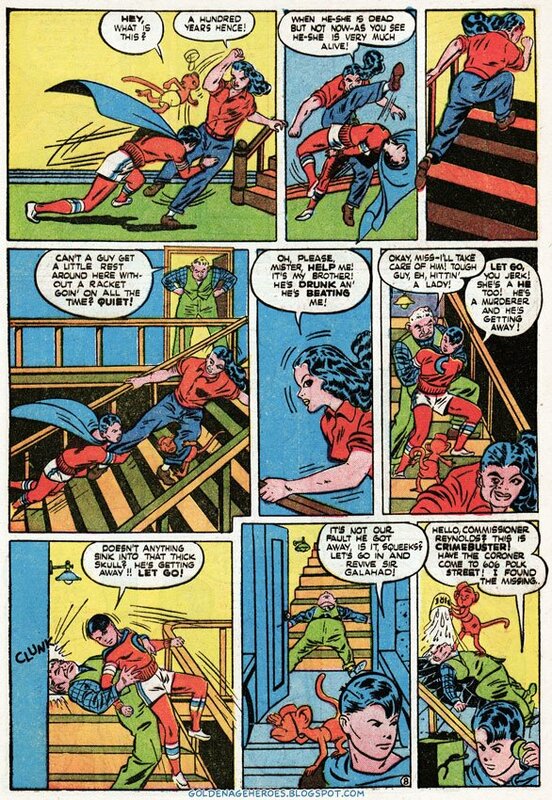 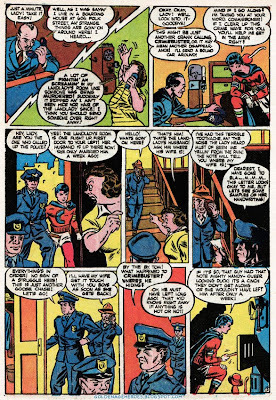 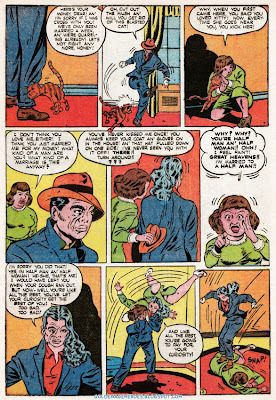 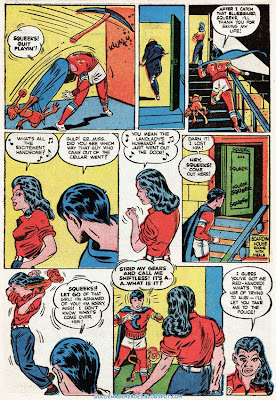 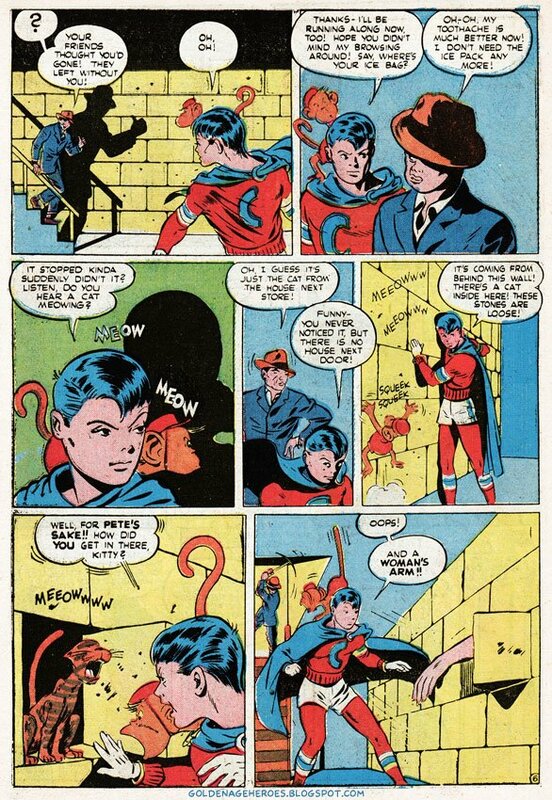 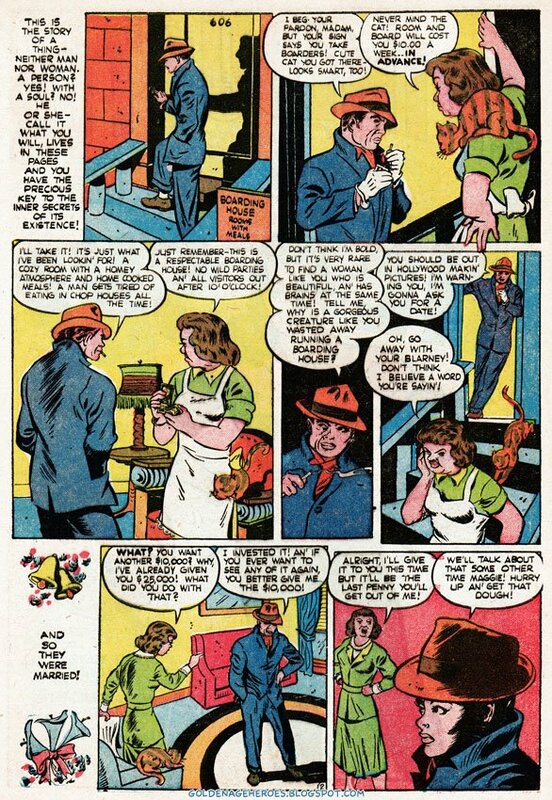 Crimebuster appeared in every issue of BOY COMICS #3-119 (April 1942-March 1956), with #3 being the first issue of the series. After the Comics Code took effect, he was referred to as C.B., since the Code forbade the use of the word "crime" in a comic book title. 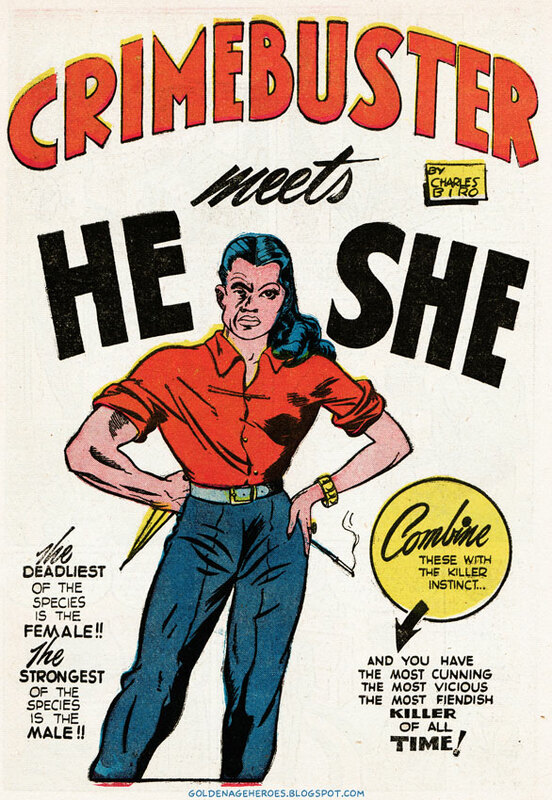 With issue #112, he was simply Chuck Chandler. 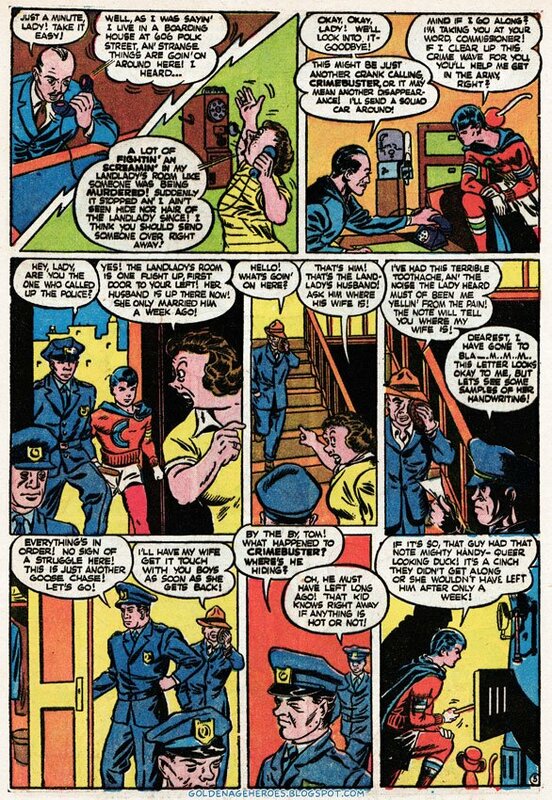 Learn more about Crimebuster at International Hero. 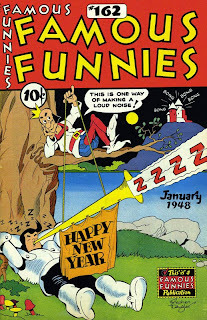 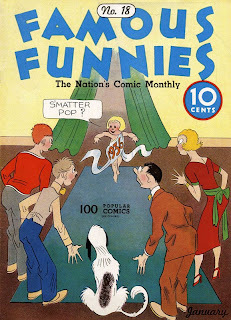 A "FAMOUS FUNNIES" New Year's Celebration! 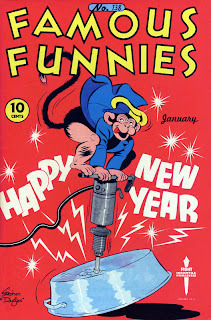 Hope you have a sublime 2009!! 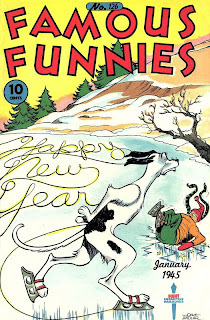 over at my Comics N Things blog!